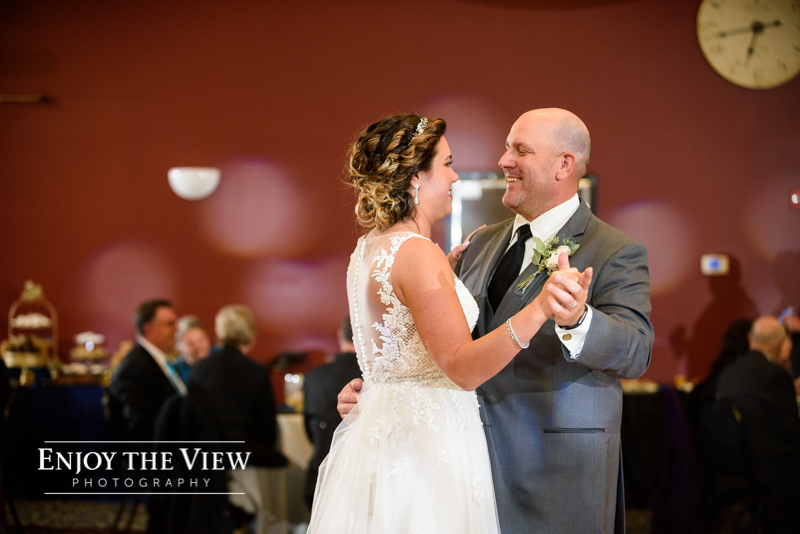 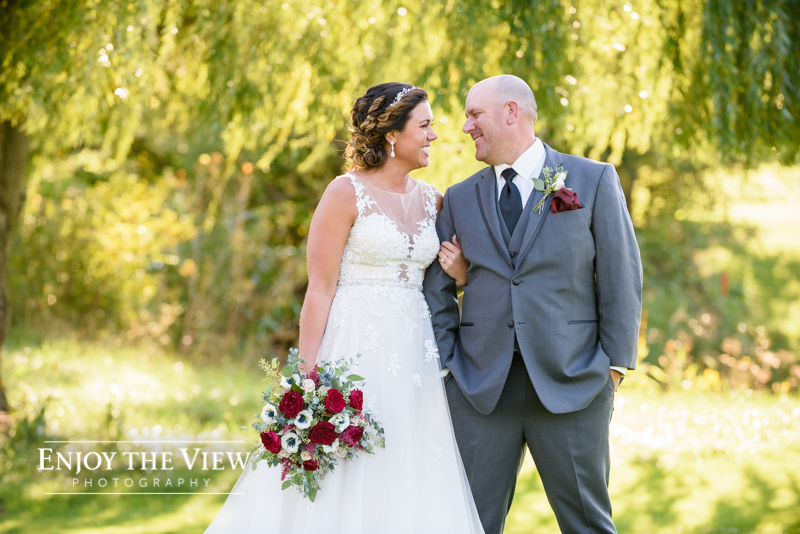 Angie & Matt are a wonderful couple and we are so glad we had the opportunity to get to know them & document their wedding day! 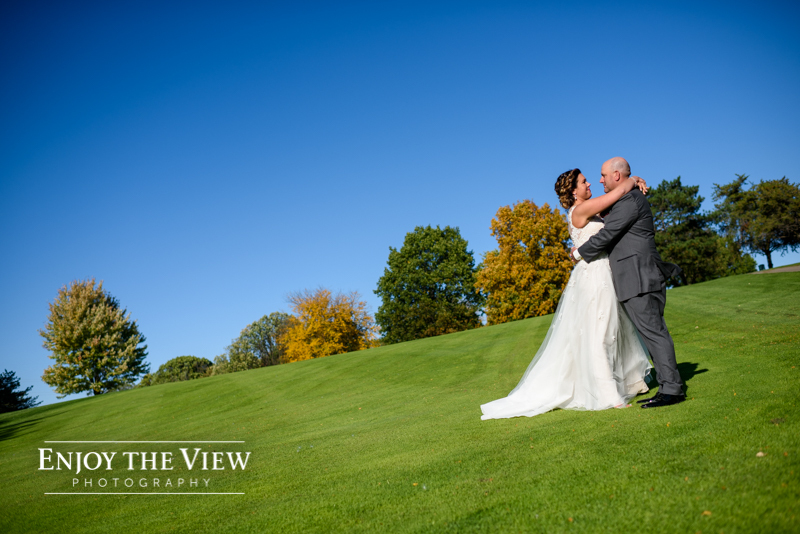 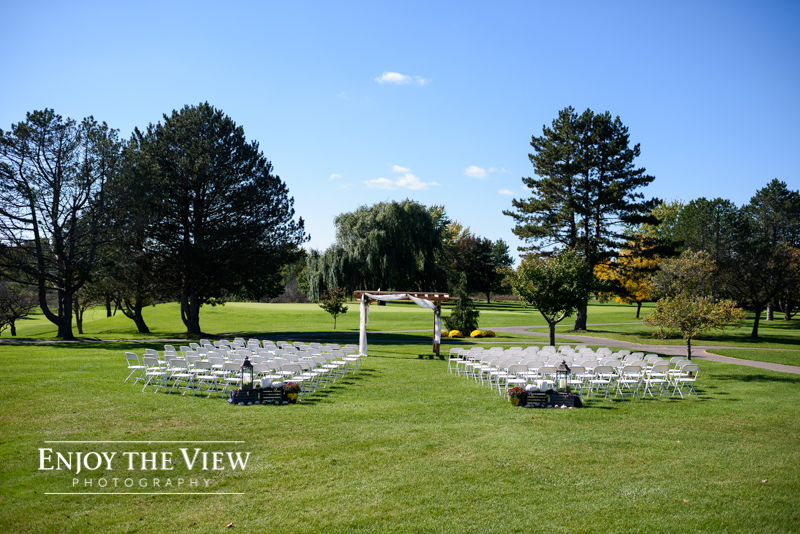 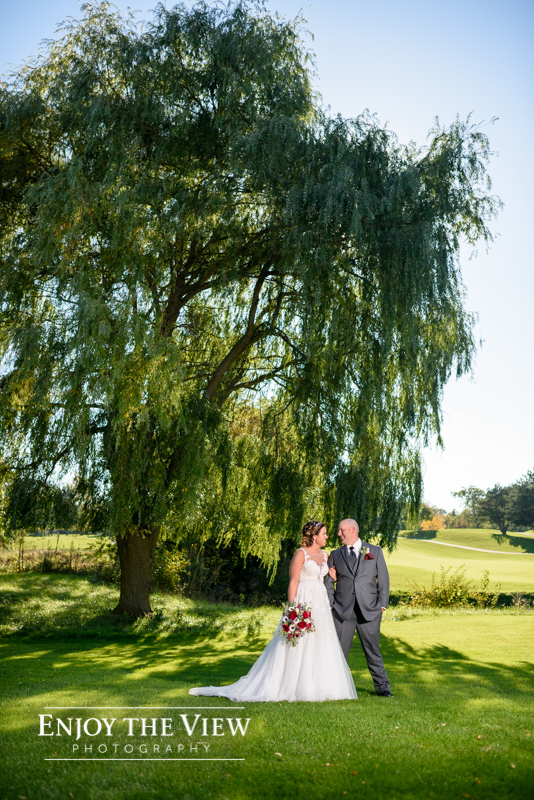 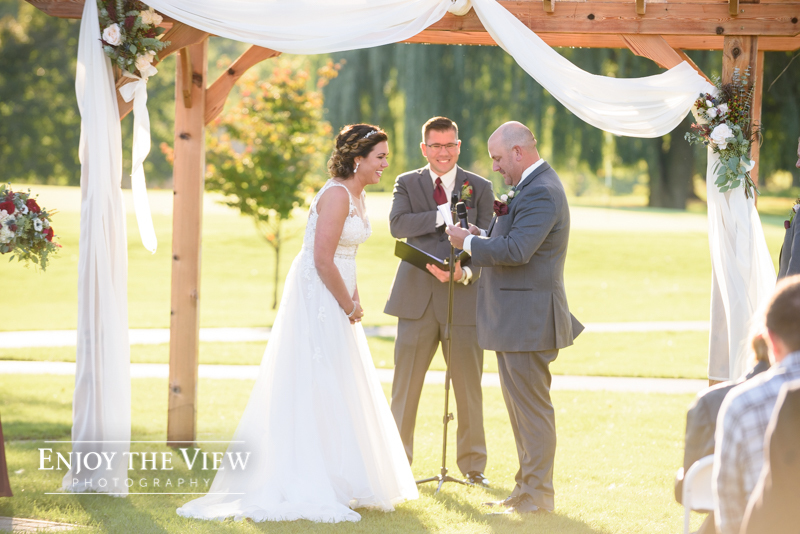 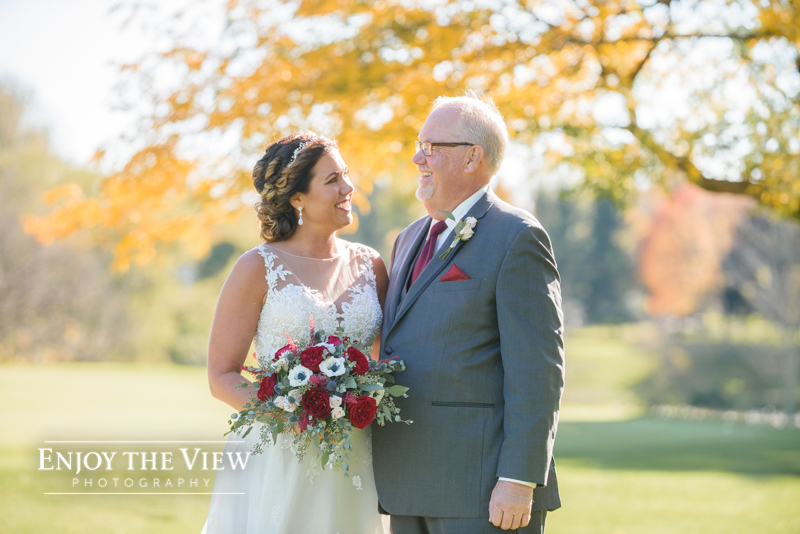 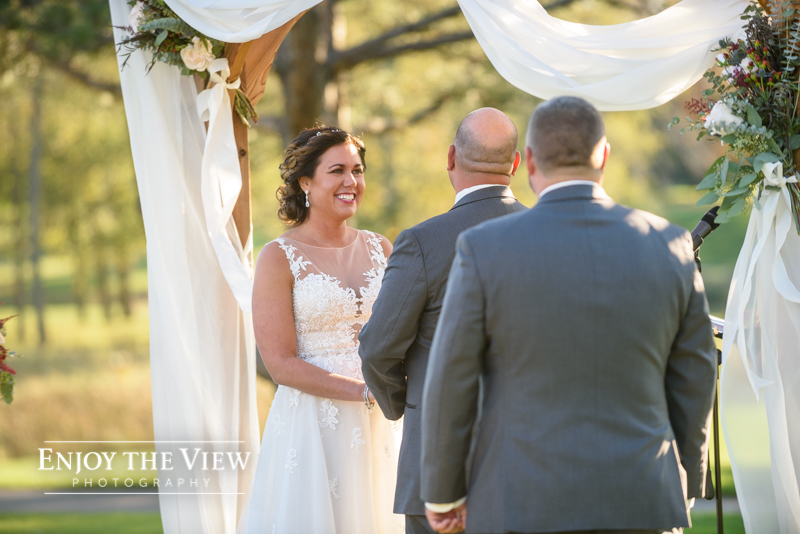 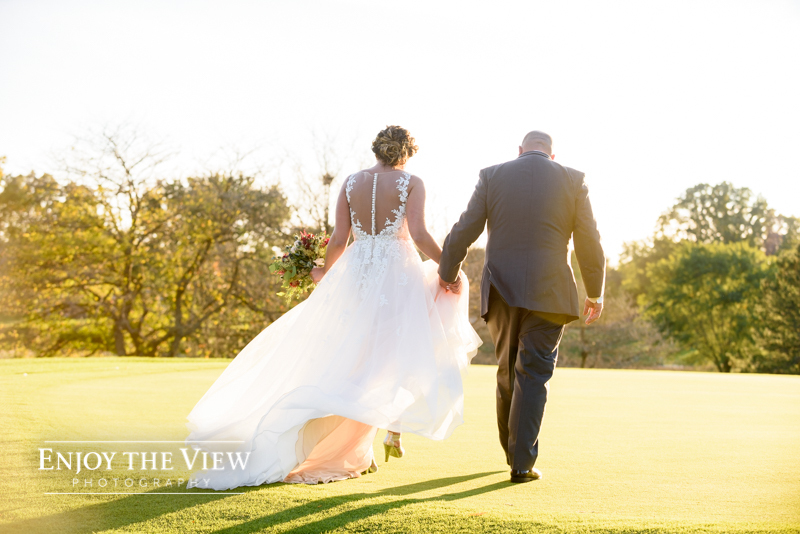 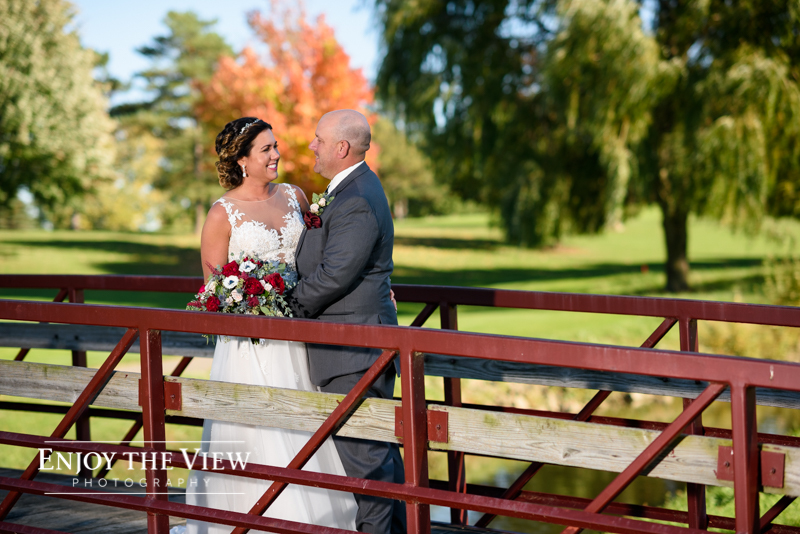 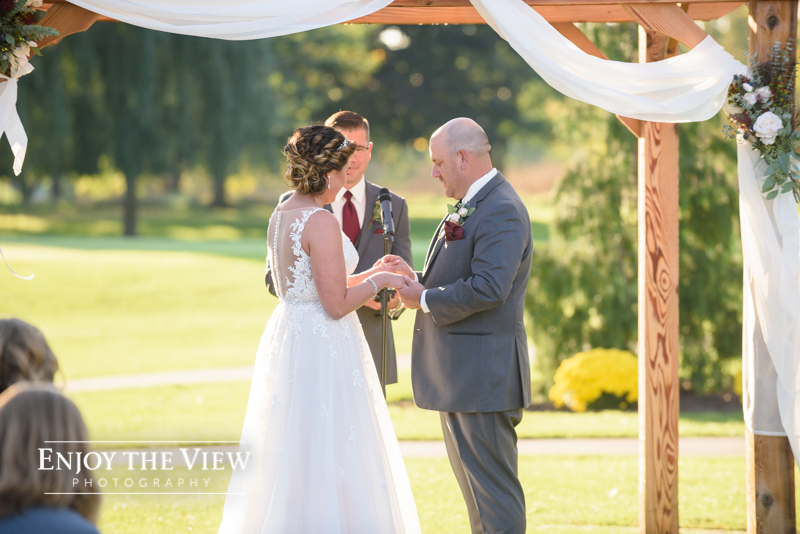 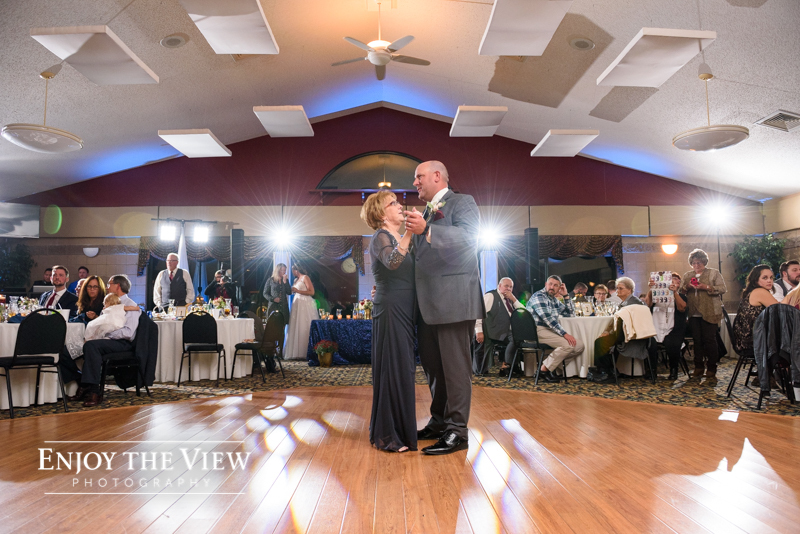 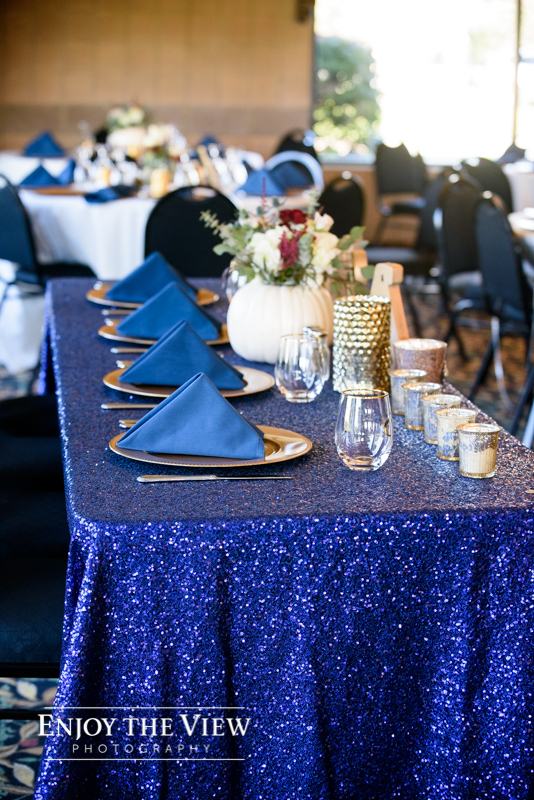 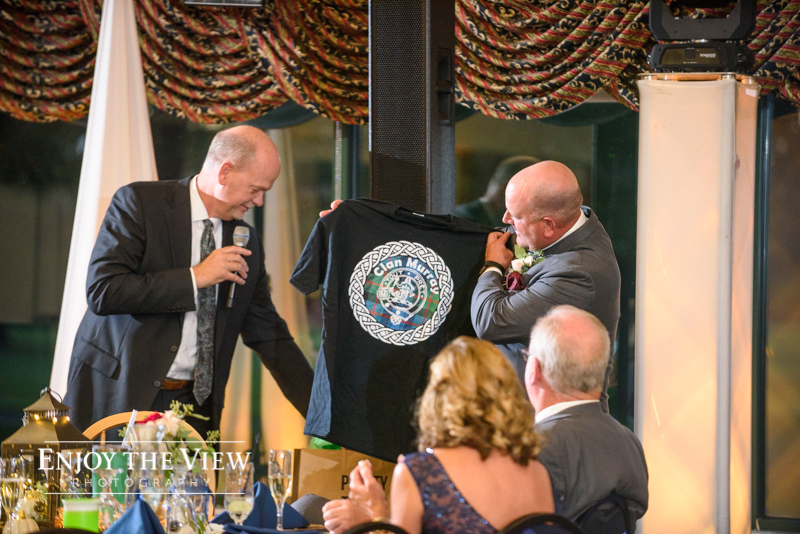 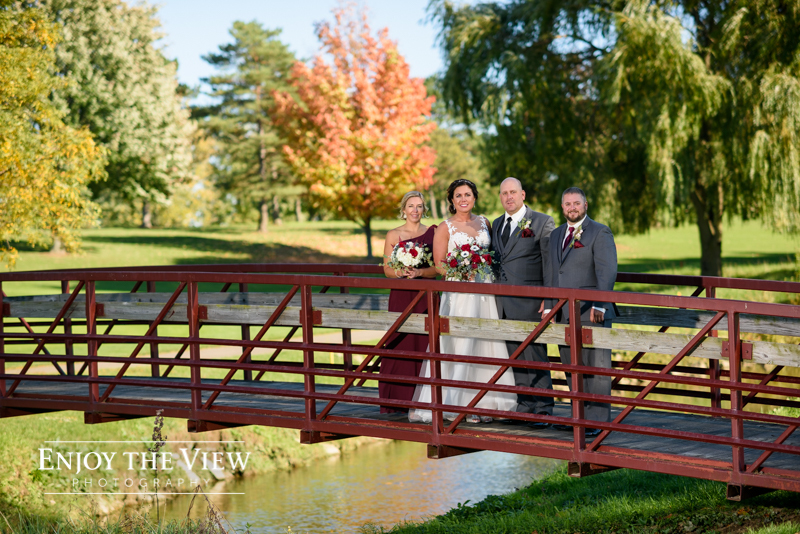 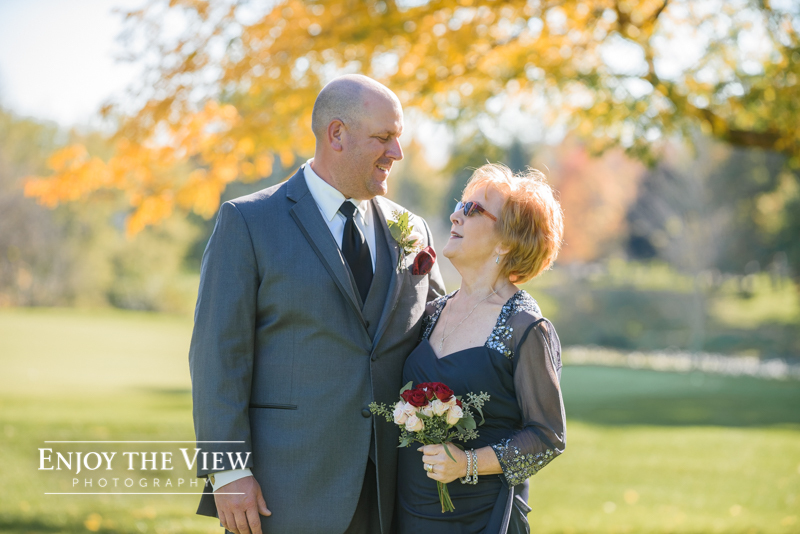 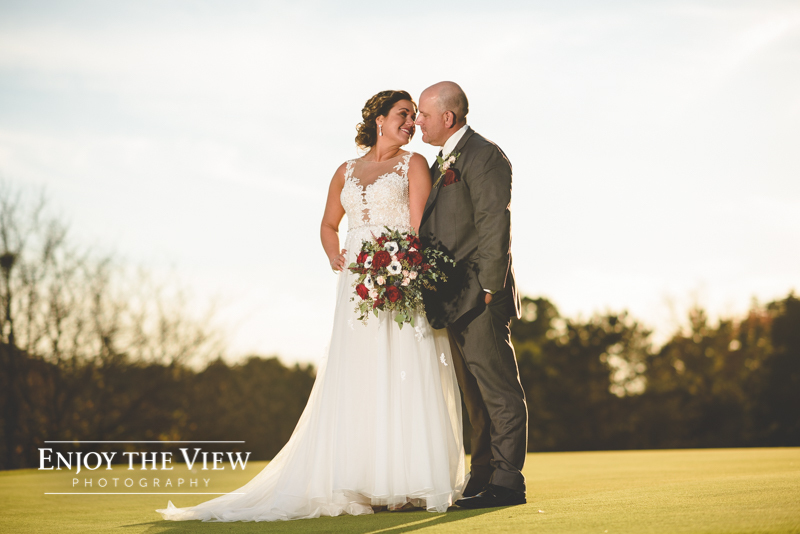 They chose the Clio Country Club for their ceremony & reception venue. 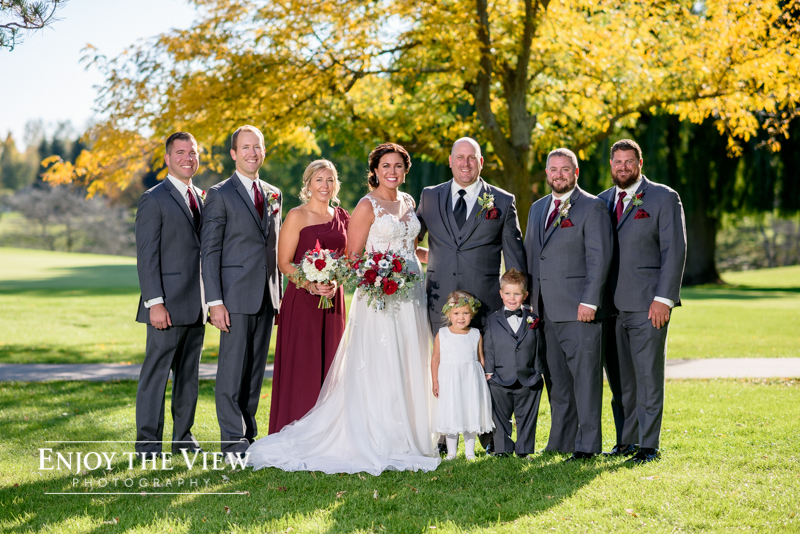 They opted for a first look, which means they had most of their portraits taken before the ceremony. 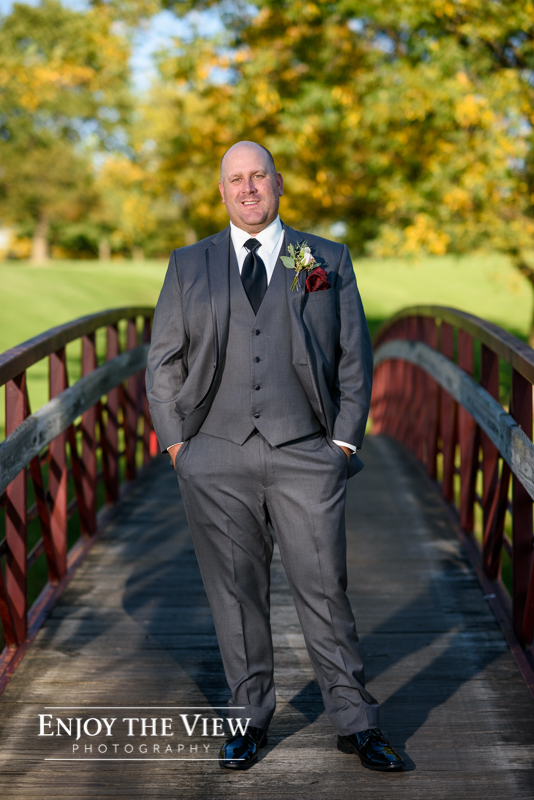 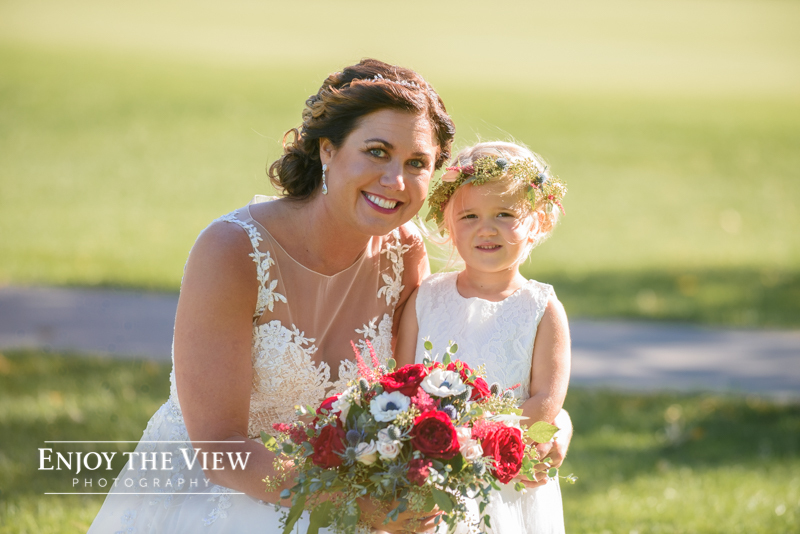 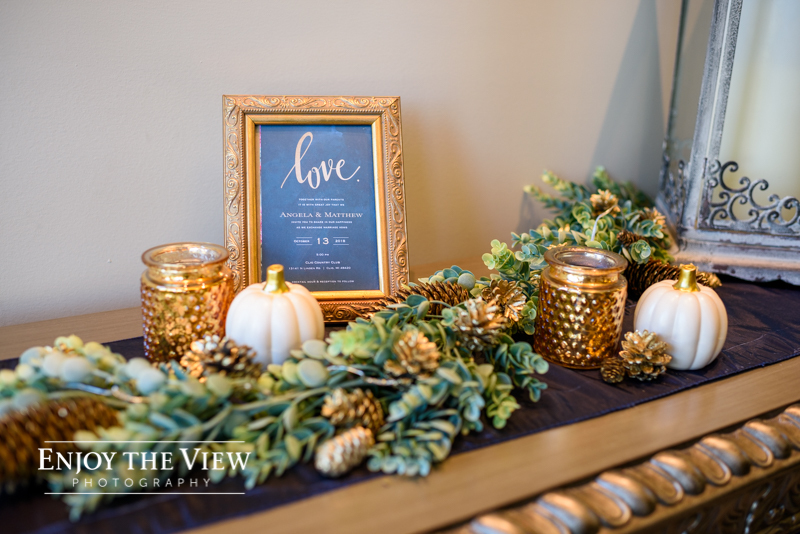 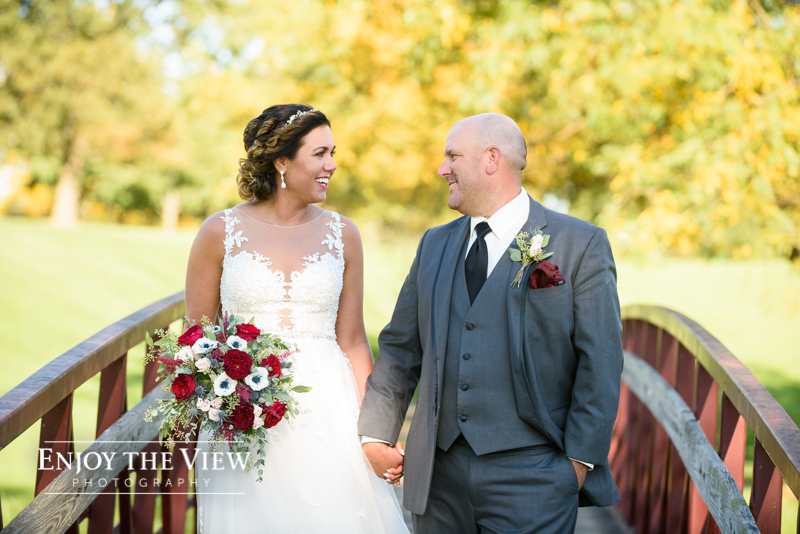 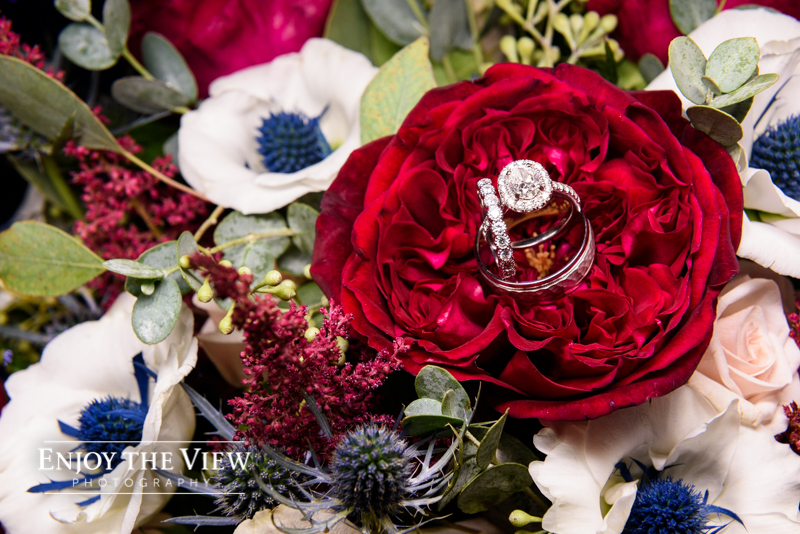 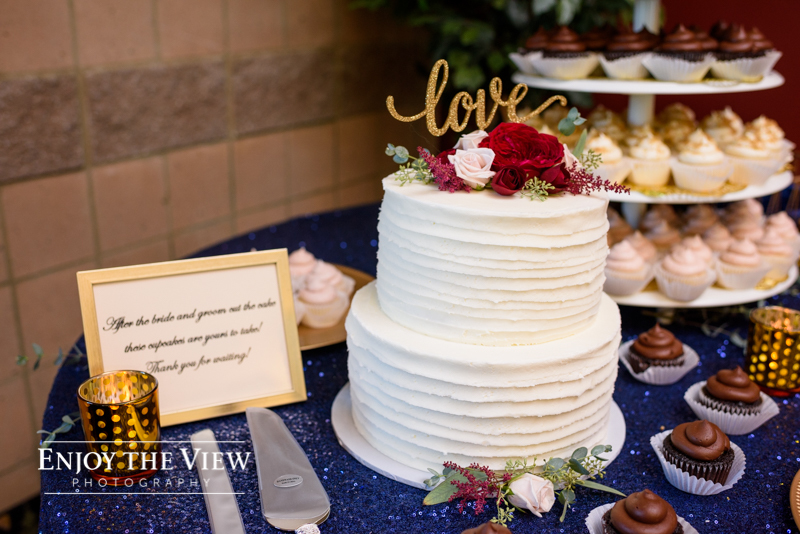 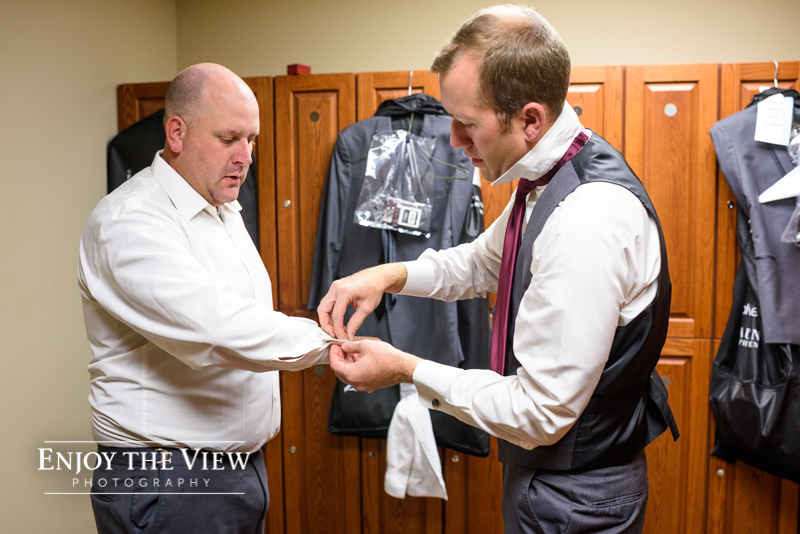 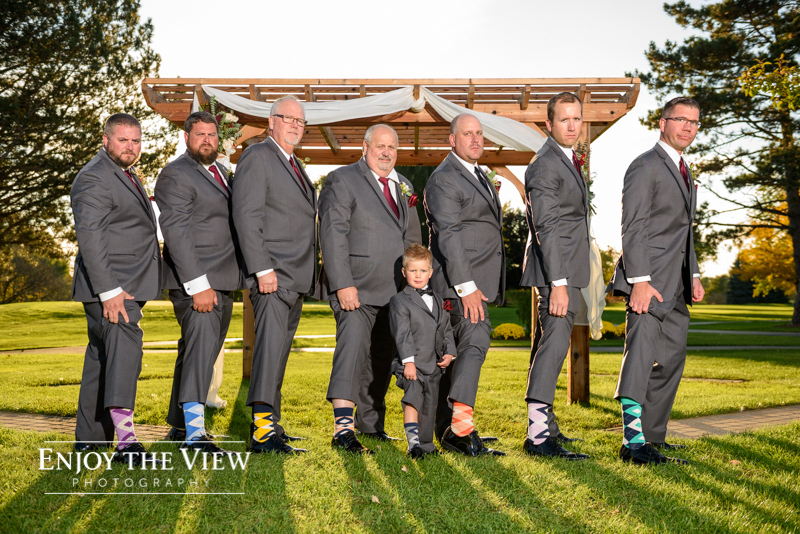 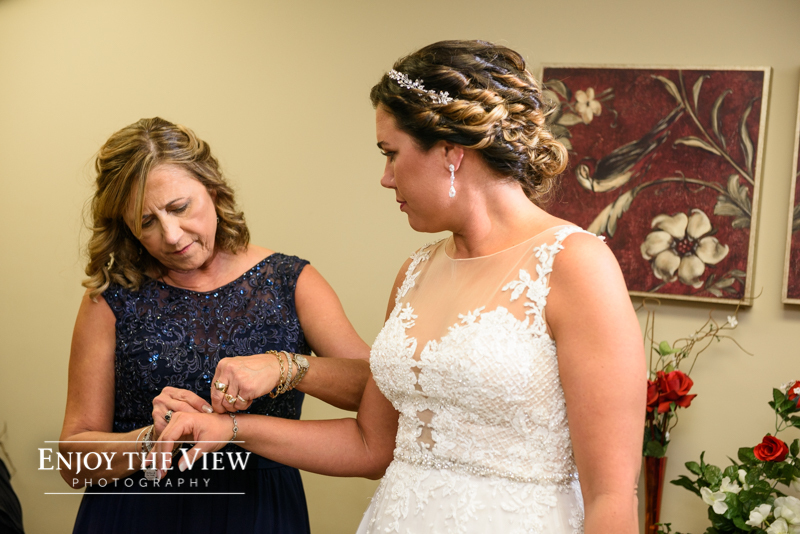 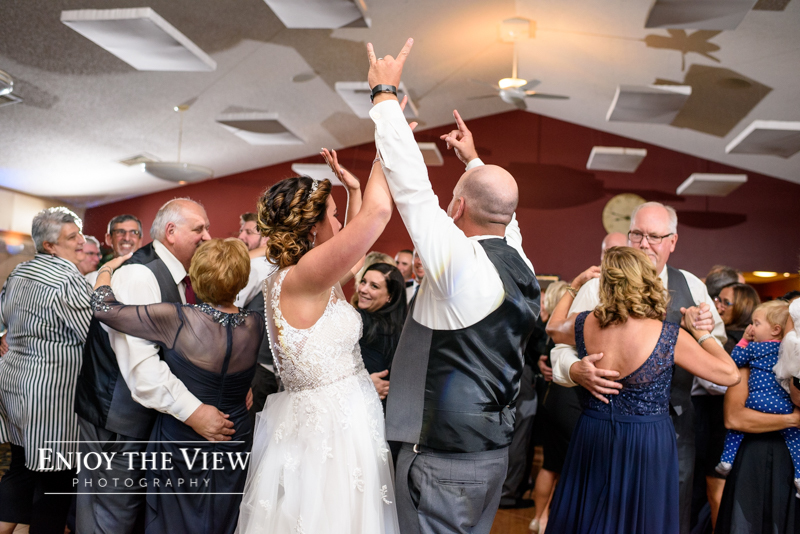 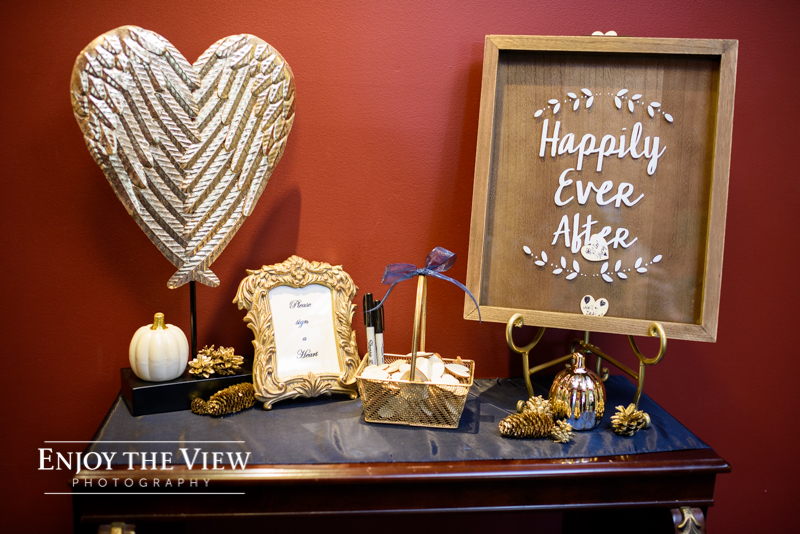 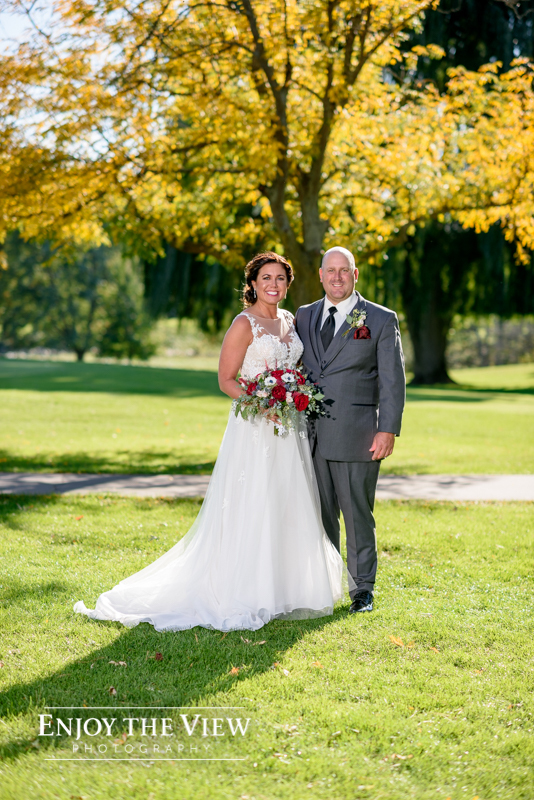 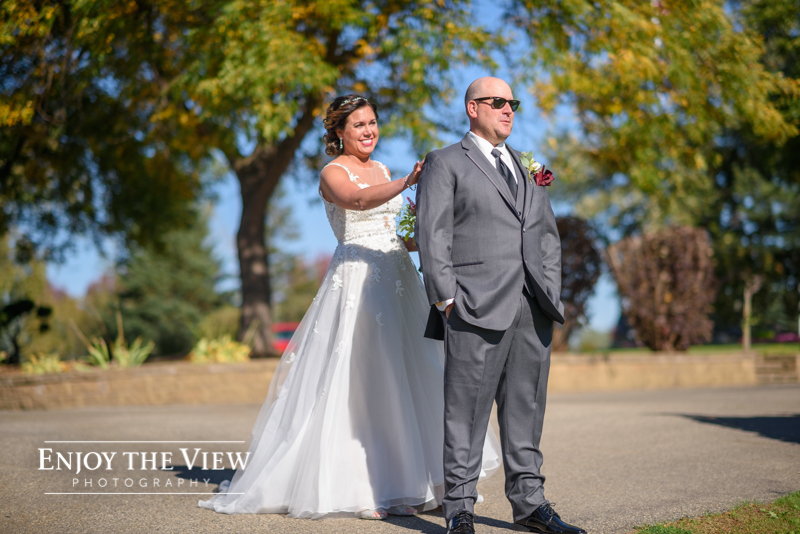 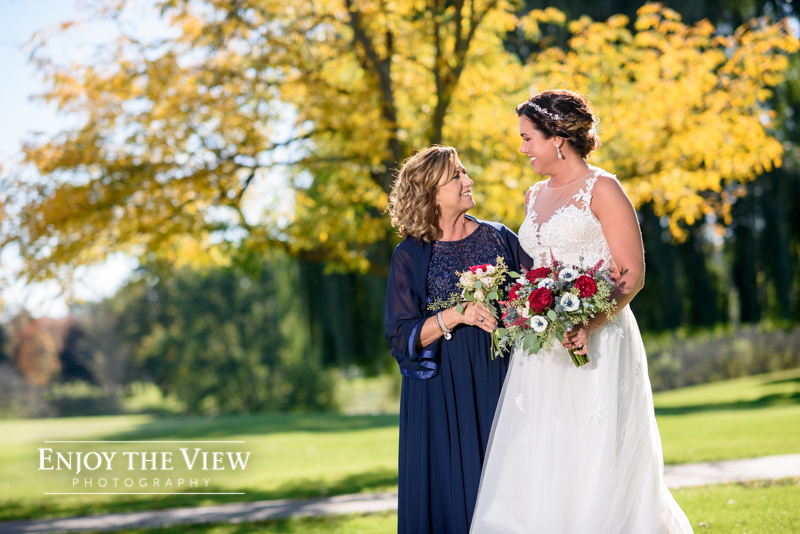 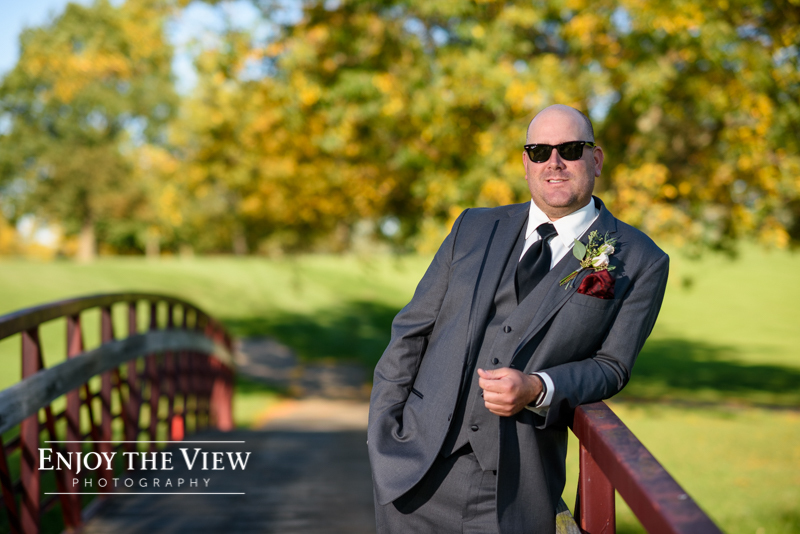 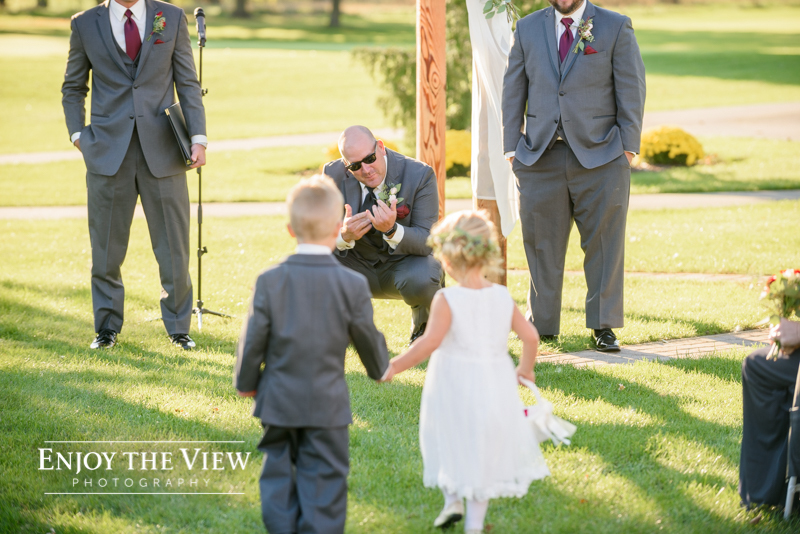 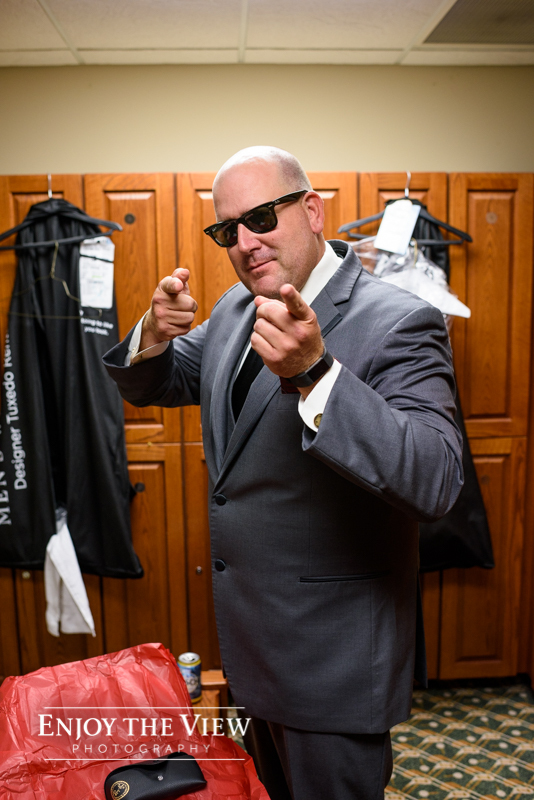 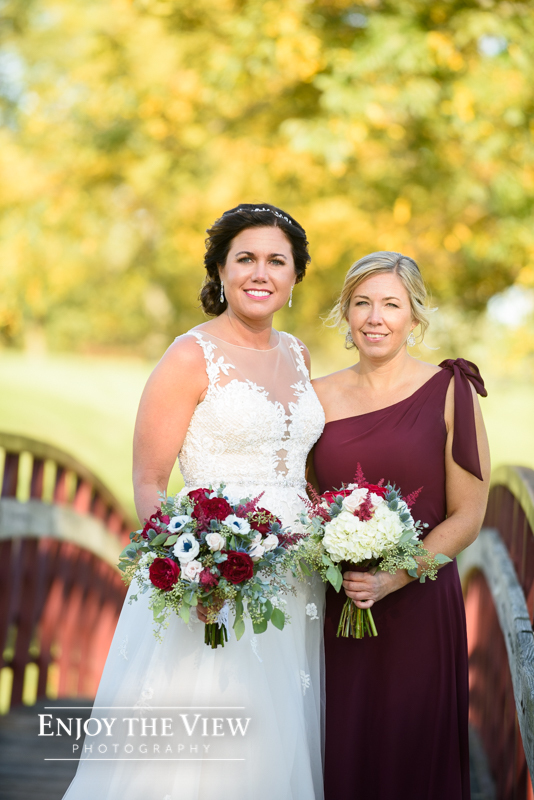 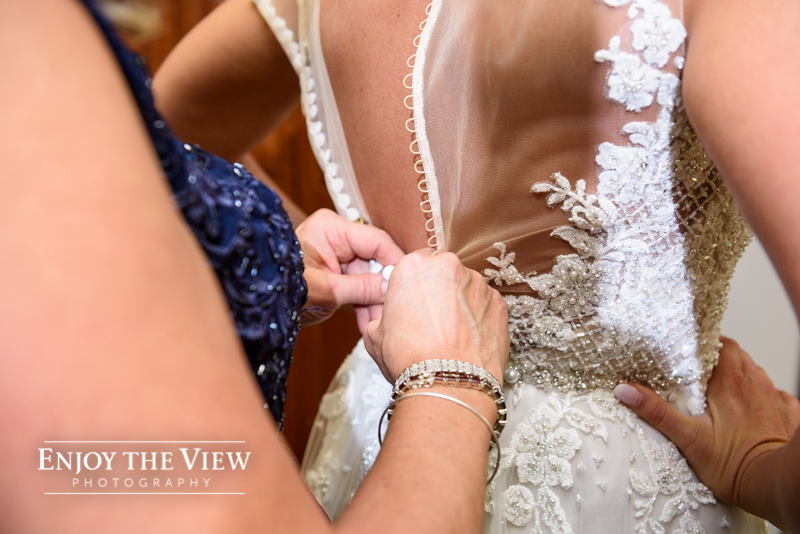 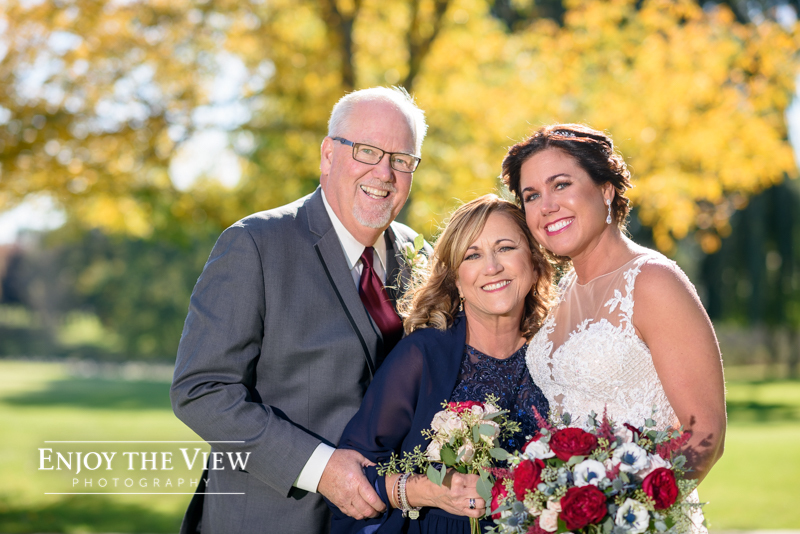 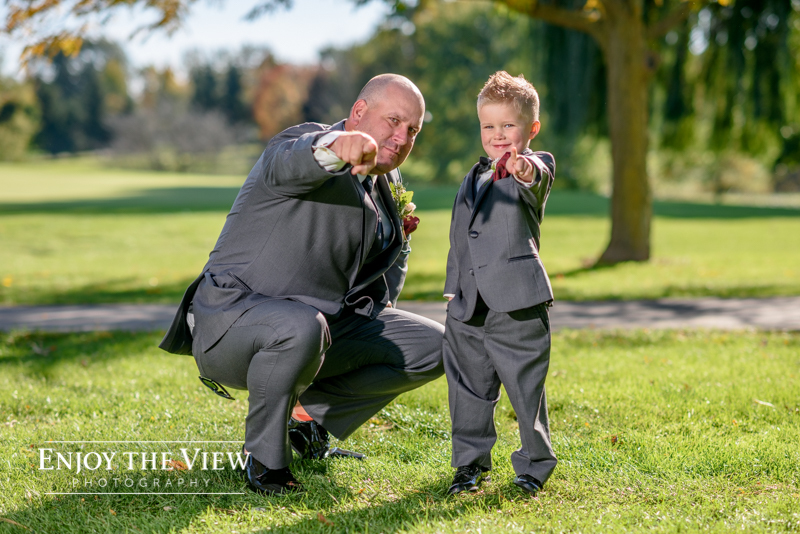 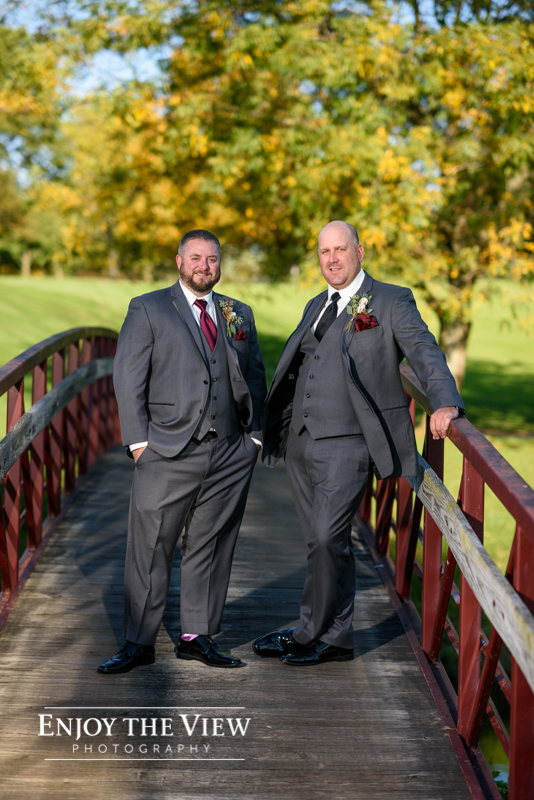 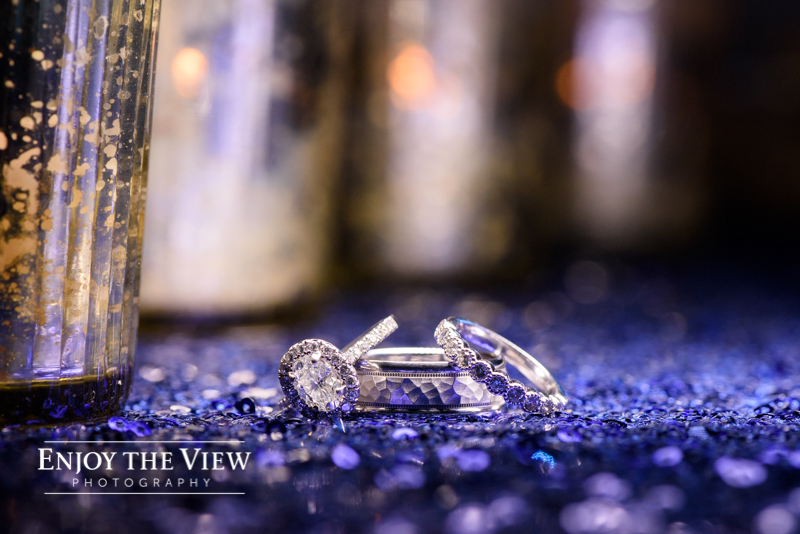 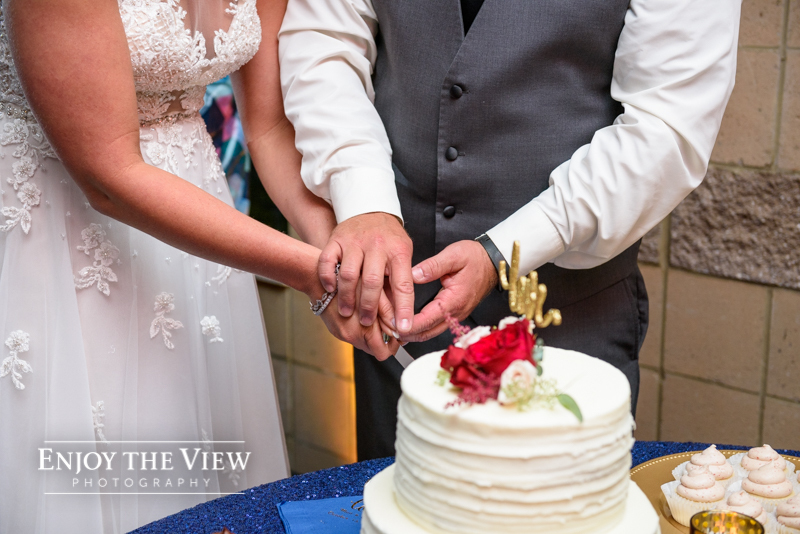 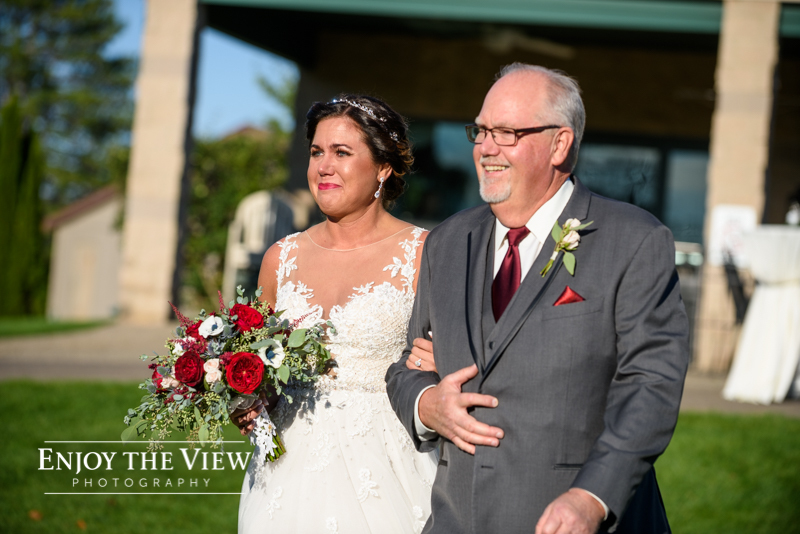 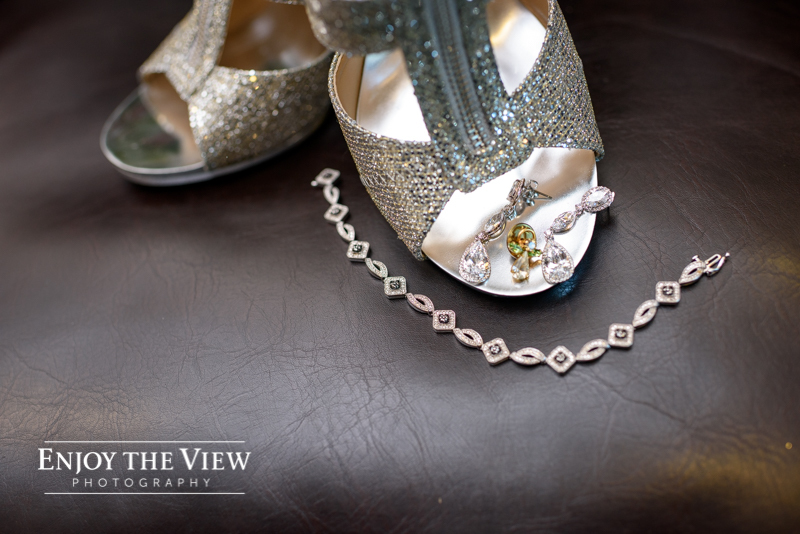 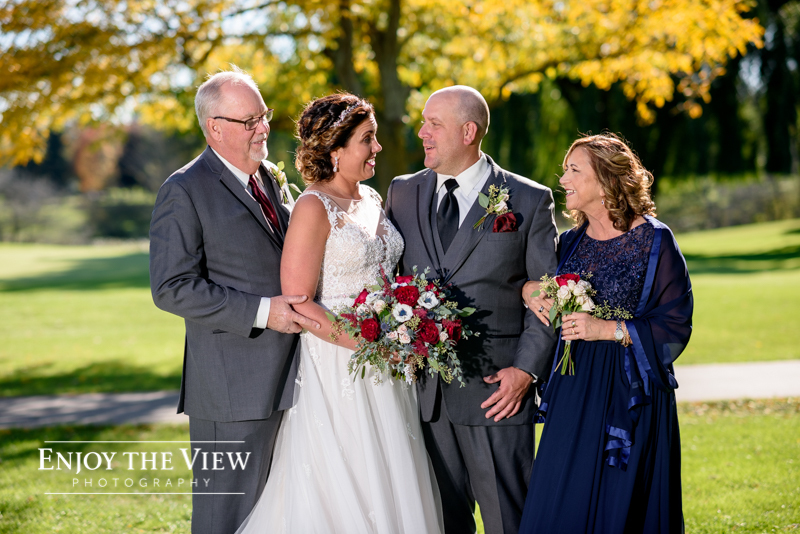 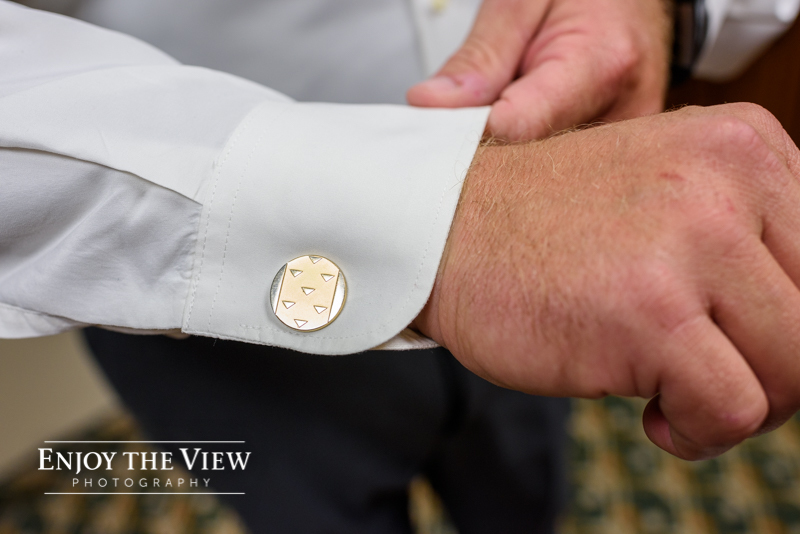 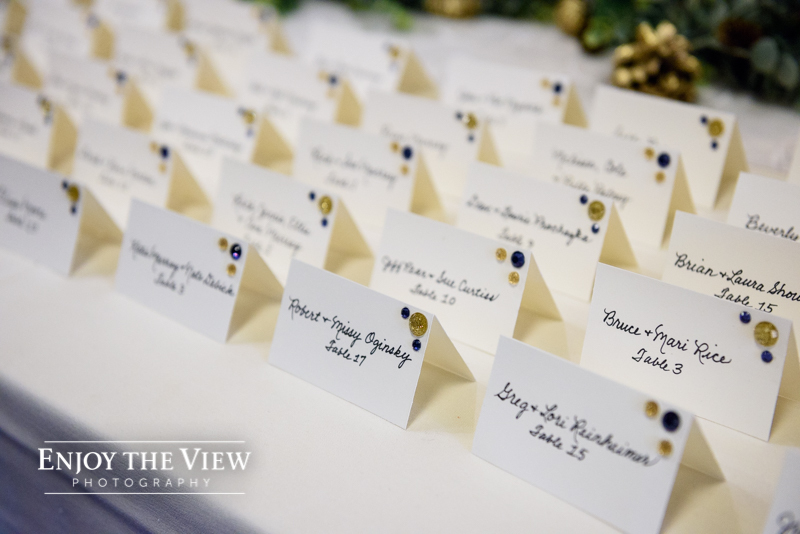 This allowed us to utilize the beautiful grounds and get a variety of images without their wedding guests waiting an excessive amount of time between the ceremony and reception. 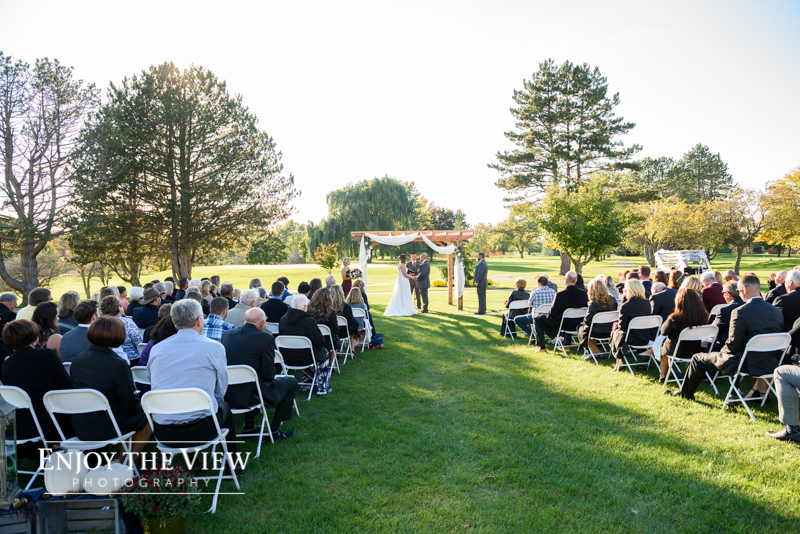 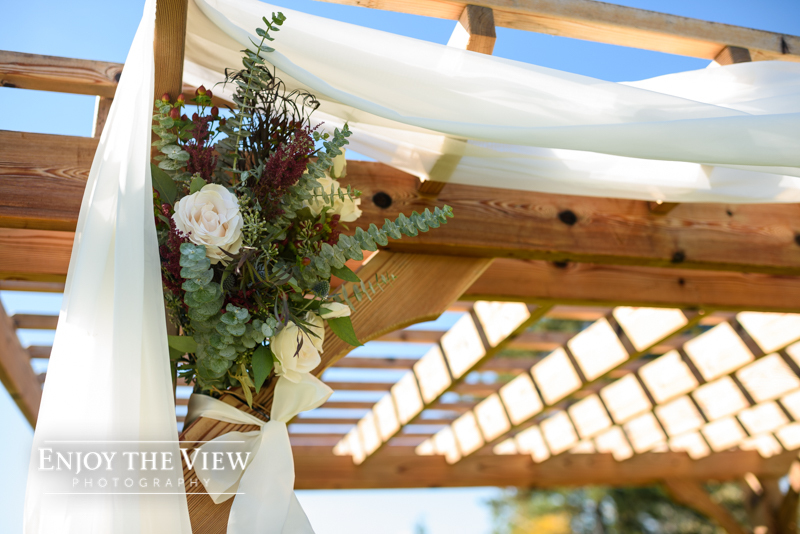 This is a great option when your ceremony & reception are held at the same location. 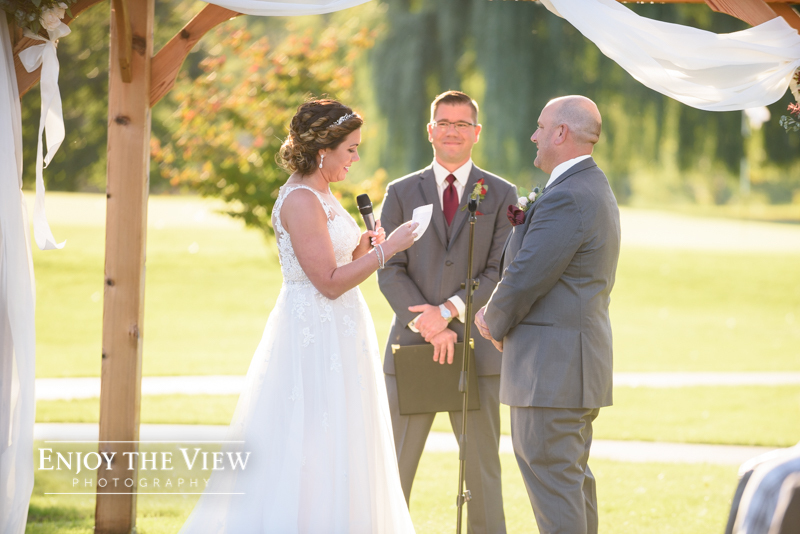 They had a beautiful ceremony, which was made especially personal by Angie’s brother who officiated. 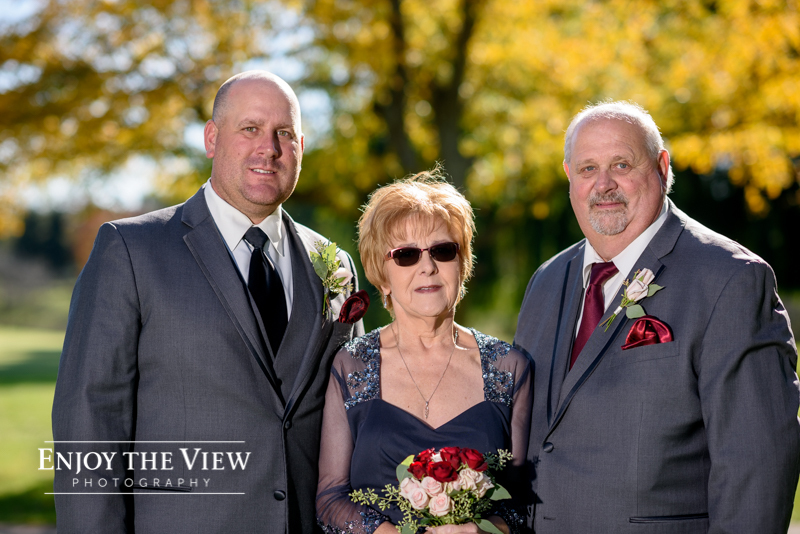 Following the ceremony we took some extended family photos – which were special in part because they have family from multiple states who came together for their big day. 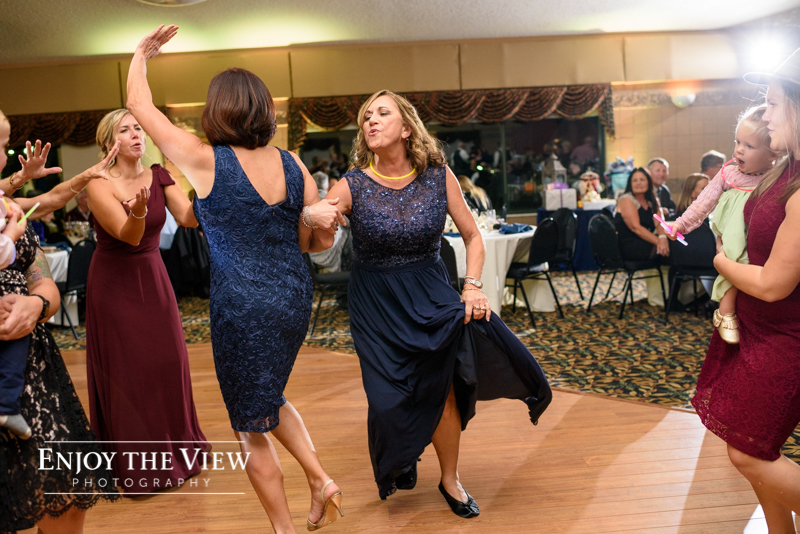 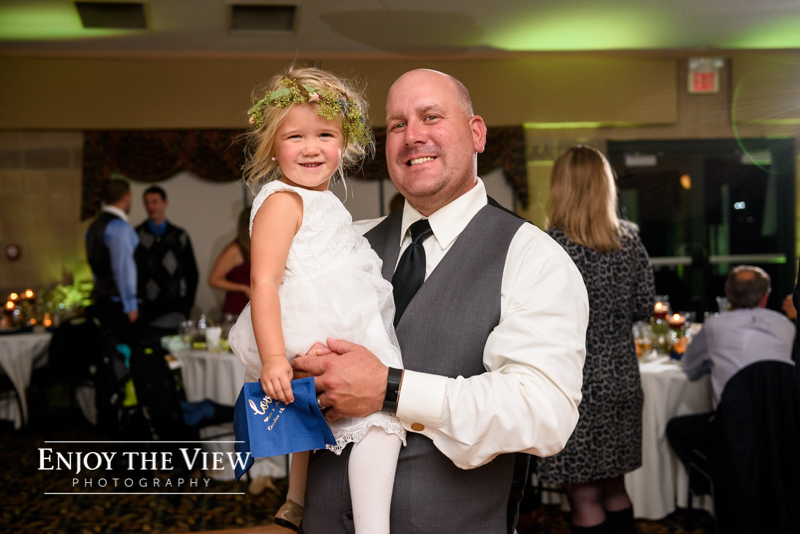 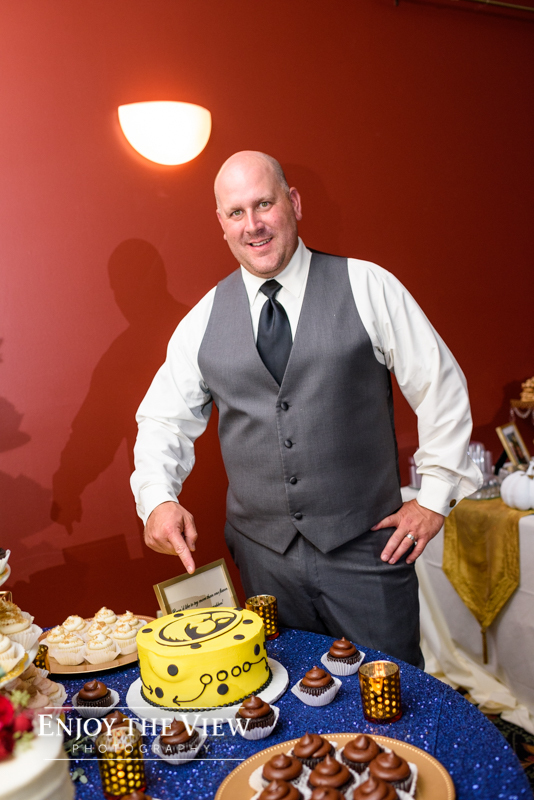 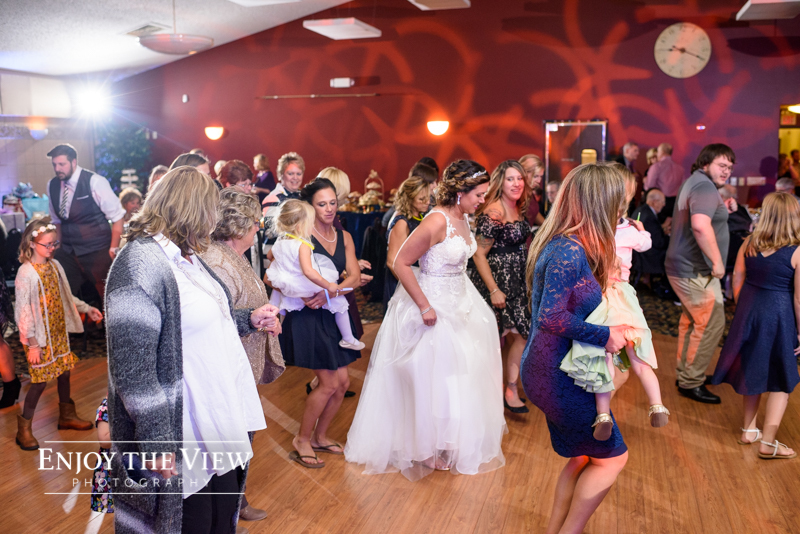 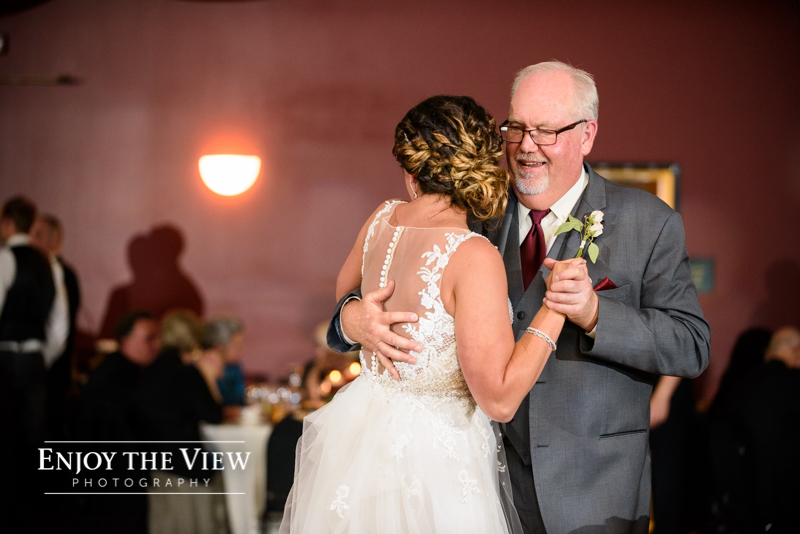 A fantastic time was had by all as they celebrated and danced the night away at their reception! 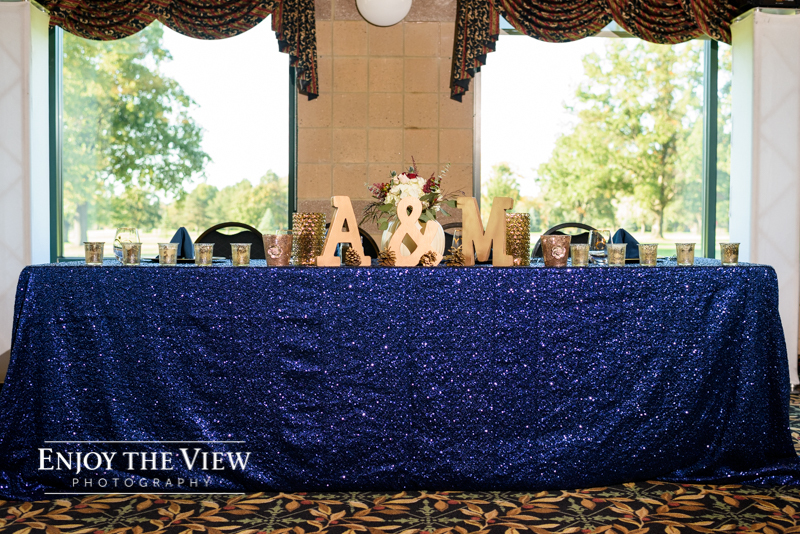 And let’s not forget the Pittsburgh tradition they incorporated of the BIGGEST cookie bar I’ve ever seen! 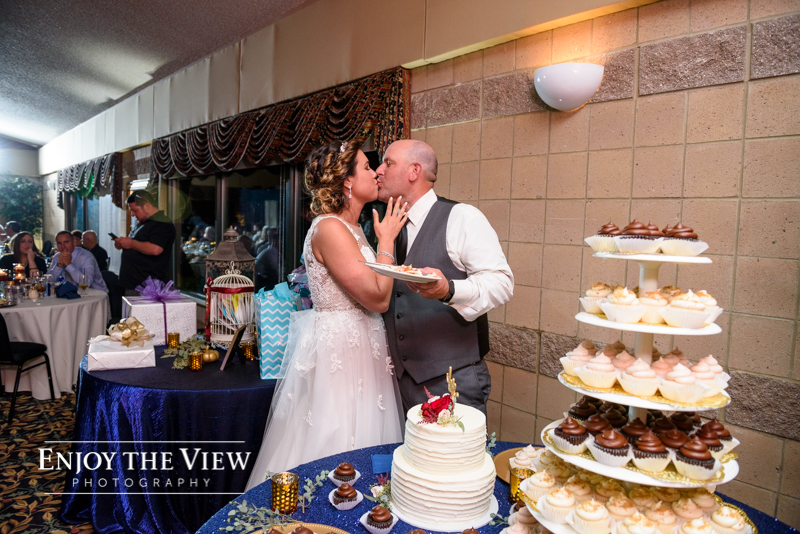 Seriously, I’m pretty sure they had every type of cookie ever made – it was ah-mazing! 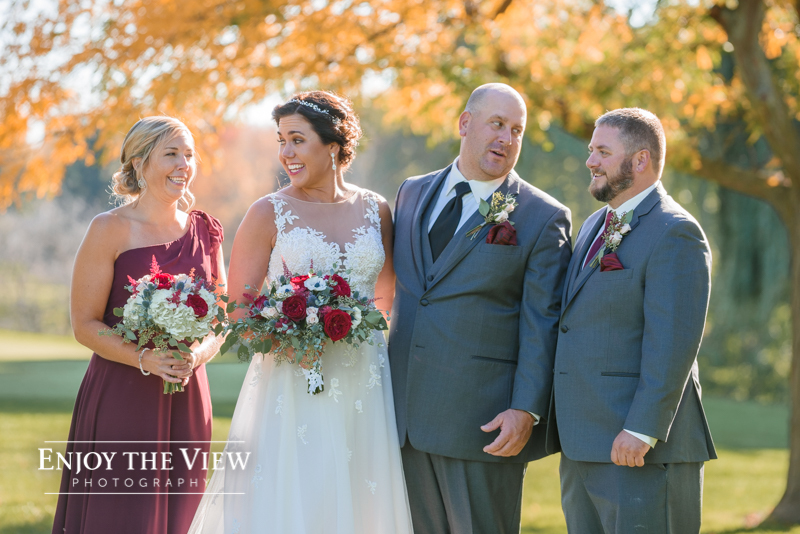 Angie and Matt have been together for a long time and they have a very comfortable, friendship-like vibe between them and easy senses of humor. 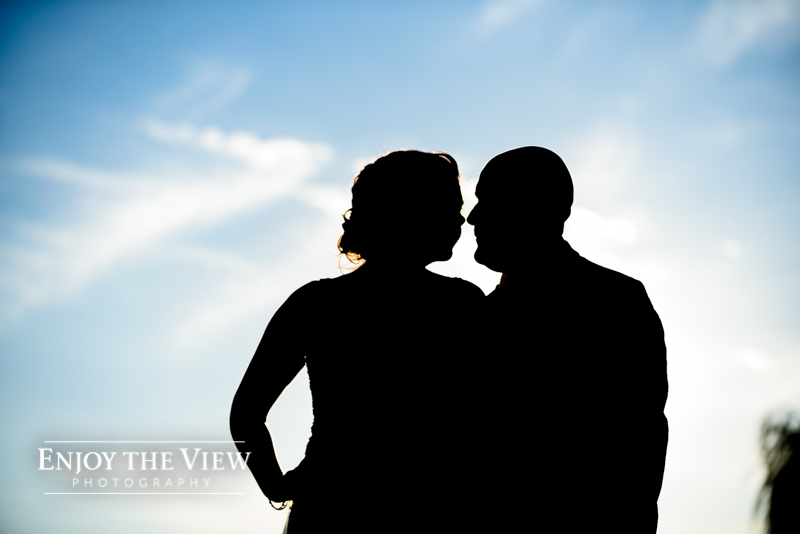 Not only did this make them extremely easy to photograph (even though Matt doesn’t typically love to be photographed! 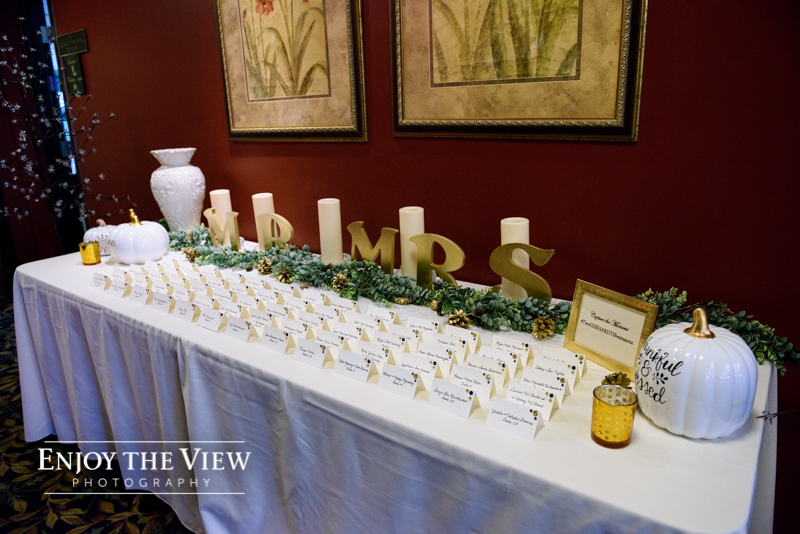 ), I’m pretty sure this will make for a fun-filled, long, and happy marriage! 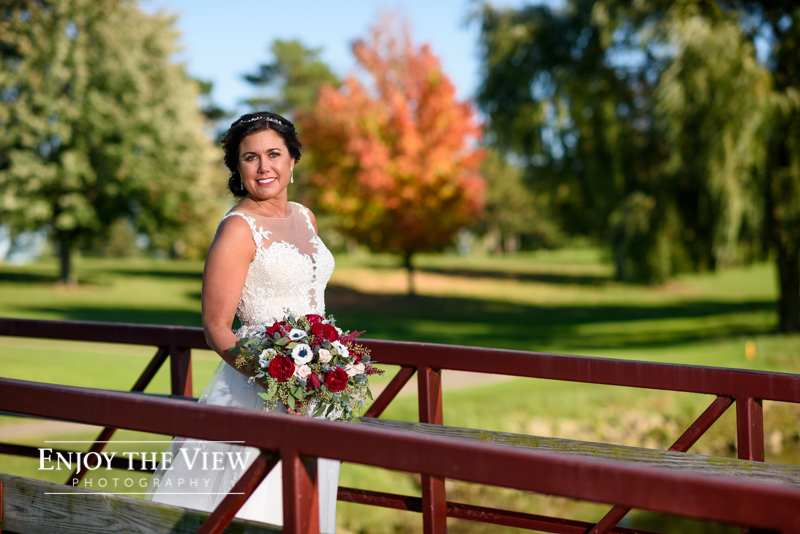 Hair & Makeup Artist: Allure Hair Co.